HomeMetwest NewsUncategorizedWhy Should I Use Aluminium Slat Fencing Over Wooden Slat Fencing? We all love our share of privacy, especially in our own home. So what better thing to do than fence in your yard to enjoy your kingdom in peace and quiet. 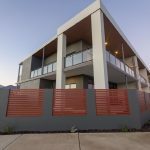 Buying a new fence, and making a decision on which material is best to be used, especially here in hot Perth, is a big investment. Your decision shouldn’t be made lightly. When it comes to erecting a new fence, people tend to think of wooden slats first, as they give you a beautiful, natural-grain look. Unfortunately, wood comes with its drawbacks, which is why we at Metwest Building Supplies, specialise in aluminium screening options. As wonderful as wood is, there are a huge amount of disadvantages, particularly when it comes to outdoor use. Extensive maintenance required. The main disadvantage that probably comes to mind first would be the need to maintain wood regularly. Unless you want your wooden slats to rot away, warp, shrink and do all sorts of other non-planned things, you will need to maintain your fence up to two times per year. This could involve varnishing, repainting, or replacing slats all together. Failing to regularly maintain your wooden fence will mean it will deteriorate rapidly, making it look like a neighbourhood eyesore, and ultimately resulting in you having wasted the money it took to build the fence in the first place. Treated wood is toxic. What less people realise is that these slats are also treated with toxic chemicals to ensure creepy crawlies, like termites or white ants, don’t get a foothold and start chewing away at your wood. These chemicals may inevitably leech out over time so if you’re a purist, you may wish to keep away treated wooden slats from your vegetable patches, dogs and children. Good wood is heavy. If that hasn’t made you think twice about using wood yet, think about the practical aspect of actually using it. 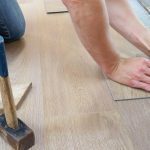 Wood tends to be heavy, needs to be cut to size and if you’re not a skilled carpenter can look worse than flat packed furniture. Aluminium fencing has come a long way in recent years and we’re now achieving a more realistic, natural timber look than ever before. Virtually maintenance free. One of the biggest advantages of aluminium fencing or screening is the lack of required maintenance. Aluminium fencing is virtually maintenance free, giving you more time to actually enjoy your home. No nasty chemicals. Without the possiblity of nasty chemicals leaching out of your aluminium screening, you can rest easy knowing your family, dogs, veggie patch, and yourself are all safe. 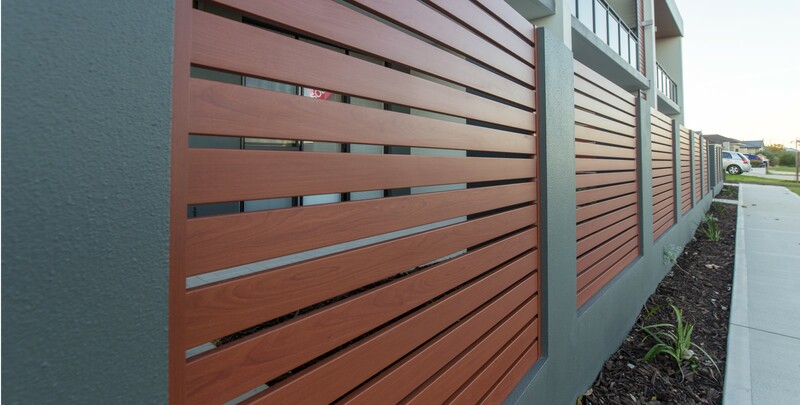 You can achieve the same natural look that wooden slats would provide, but without the extensive drawbacks of toxic chemicals and regular maintenance. Easy to work with. It’s also pretty common knowledge that aluminium is one of the lightest metals, making our alu slats easy to work with. It’s almost a 1-man job. Aluminium is also easily malleable, meaning we can easily manipulate slats and screening to adhere to local building codes. Durable. But did you also know that, here at Metwest Building Supplies, we give you a 7 year structural warranty? Unmaintained wooden fences don’t even last that long before they fall over or crumble. A lifetime investment. Aluminium doesn’t tend to fall victim to the same culprits as wood or steel would. Rust, erosion, and other deterioration, aluminium can virtually brush off every single time. Price. Finally, we are talking money! 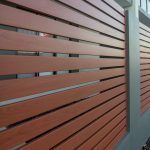 In comparison to brick and wooden slats, or a wooden picket fence, you will find that opting for aluminium slats for your fencing project will see you spend significantly less. A range of colours and styles. Powder coated and offering western red cedar, bush cherry and whatever else you could possibly desire, we can easily work with and expand our already large range of products to suit your needs. So whether you’re erecting a new fence, a fence gate, or some pool fencing, we are standing by to assist you. Simply get in touch with the team at Metwest Building supplies and we can give you a free quote. Or why not come in to our showroom? View our range of aluminium screening and fencing options.